The Cassini Collection boasts of a contemporary design fused with historic craftsmanship. A floral sphere, comprised with hand formed Murano glass crystal petals, is eloquently designed in an amazing combination of glass and chrome while delivering an amazing glow of light. 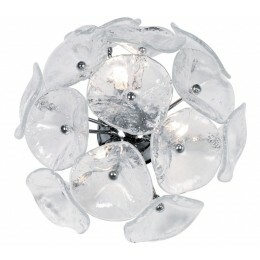 The result is a fixture that will definitely make a statement in any design space. 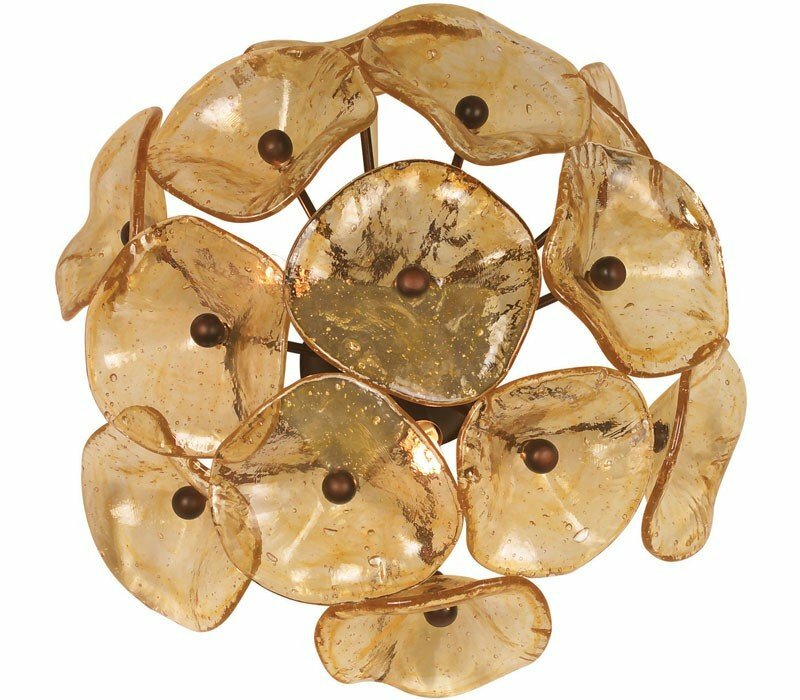 The ET2 E22091-26 Cassini collection Sconce Wall Lighting in Bronze uses Halogen light output and brings Modern style. The total wattage is 105 and the voltage is 120 volts. The ET2 E22091-26 requires 3 bulbs (included). 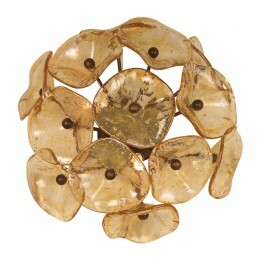 Additional Information: Shade-Translucent Amber Pulled Petal Glass Shade.